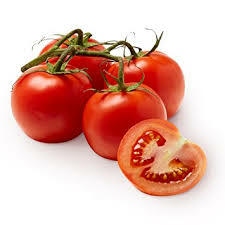 Why are Tomatoes known as “love apples”?…. It seems that we should blame a priapistic French merchant for this. This naughty little Frenchman misinterpreted the Moorish word for tomato, Pomi di Moro as Pomme d`armour,the love apple. What with the tomatoes saucy reputation as an aphrodisiac, the name stuck. There is another theory that the “love apple” may stem from its association with the sinister mandrake, which also bears red or yellow fruits. The hallucinogenic mandrake is traditionally associated with magic and witchcraft, although it did Joan of Arc no good at her trial when it was revealed that she carried one around for good luck, and perhaps it was thought as an aphrodisiac, because a low dose of it made people woozy and lowered their inhibitions. A man who would wish to acquire vigour for coition may melt down fat from the hump of a camel, and rub his member with it, just before the act; it will then perform wonders, and the woman will praise it for its work. Previous PostTo gruel or not to gruel…….